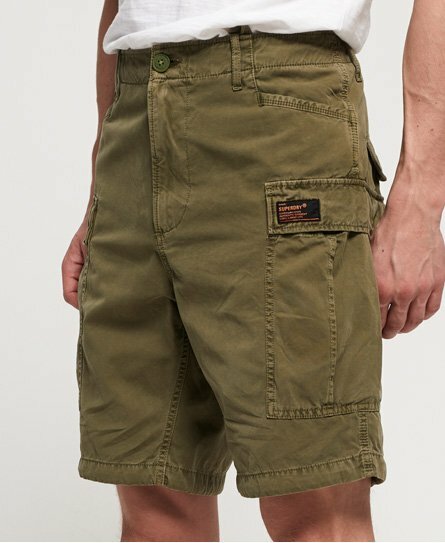 Superdry men's Core cargo shorts. Refresh your casual wardrobe with the Core cargo shorts, featuring a button fly fastening, belt loops and seven pockets, great for keeping your essentials close to hand. Completed with a logo badge on one pocket, pair with a t-shirt for a casual look, or dress them up with a crisp button down shirt.